Dig stands for Domain Information Groper. Dig is used to interrogate DNS servers. It have a lot of features to interact and use DNS servers. In this tutorial we will look popular and useful dig command usages. Most of the system and network administrators uses dig to debug DNS related issues. 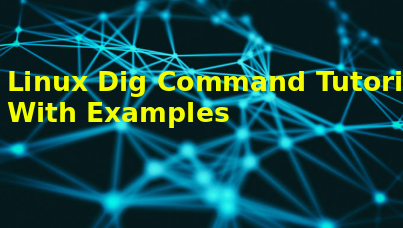 Help information about dig command can be listed with the -h option. Detailed help information can be found with man command like below. We will use dig command with the following syntax. Dig is mostly used without parameter to get IP address of provided DNS name. The default system provided DNS server will be used to DNS resolution. As we see previous example dig will provide a lot of supportive information. This information may be not needed. Another useful feature is only printing IP address. There will be no other information other than IPv4. For this operations +short parameter can be used. By default all IP address versions IPv4 and IPv6 will be printed. This can be unnecessary in some situations. Printed IP address version can be specified with -4 parameter. As like previous example we can only show IPv6 address with the -6 parameter like below. 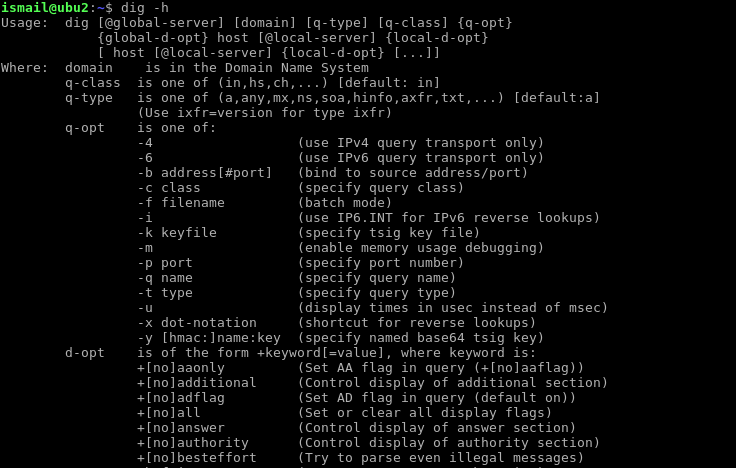 Mail servers can be expressed in DNS servers with the MX records. MX stands for Mail Exchanger. MX records specified the Domain name related mail server IP address. This mail server accepts mail with smtp protocol from senders. TXT is short for text. This records are used informal generally human readable information about domain name. Keep in mind that this can be some times security problem. SOA records are named as authority records. SOA records provides information about primary name server, email of domain administrator, domain serial number and some timers related refreshing zone. SOA records can be listed with SOA parameter. 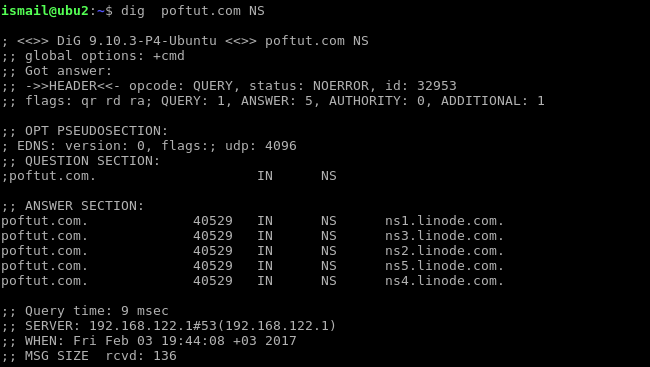 All DNS server records can be listed with ANY parameter. 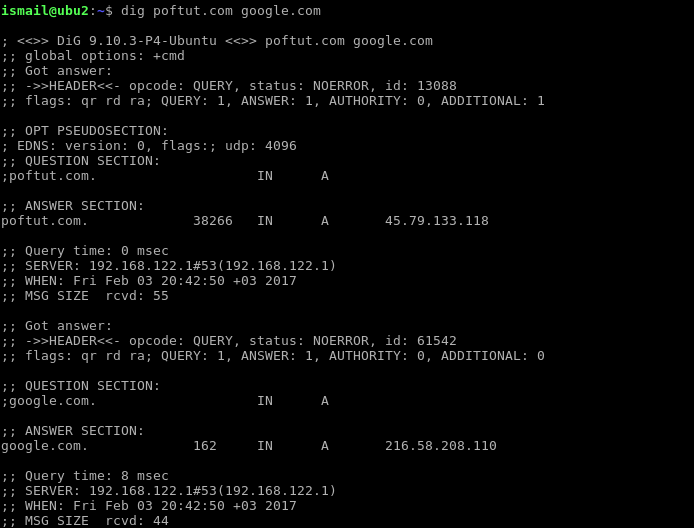 One of the most useful feature of dig is reverse DNS lookup. Up to now we have resolved domain names to the IP addresses. Some times resolving IP addresses into domain names can be useful. This can be done with -x parameter. LEARN MORE How To Cut Existing Network Connection In Linux? While querying different type of DNS records by default system provided DNS server is used. This may not be useful in some situations or we may want to test different DNS server than default one. The @ sign will be used to specify specific DNS server. Generally only single domain name is queried with dig. 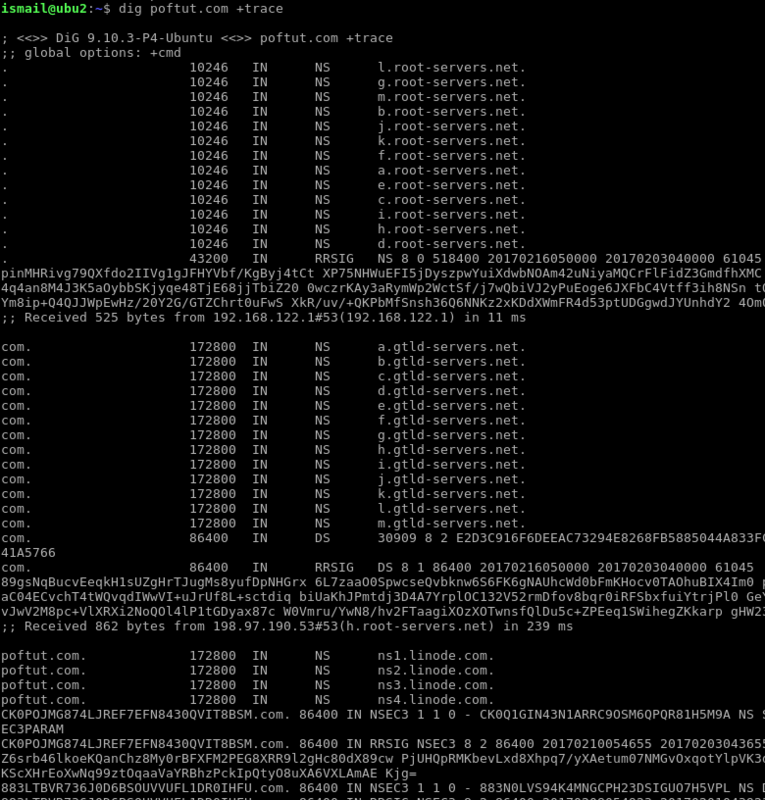 But there are some times we may want to query multiple domain names in a single command. This can be done like below. If there are multiple domain names to query these domain names can be provided with a file. Our file name is domains.txt and its content is like below. As we know DNS system of internet works as hierarchical manner. 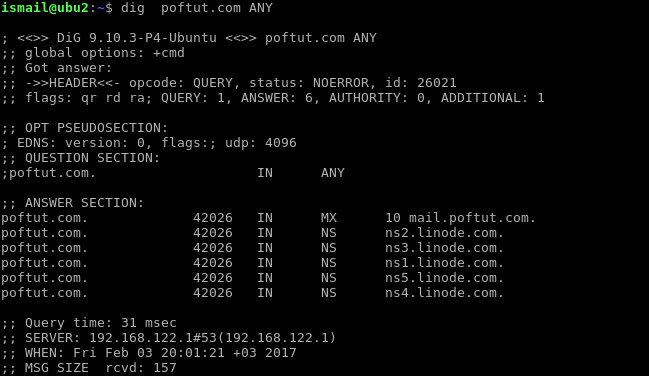 When we use dig to resolve some domain name this query is handled by multiple DNS servers in a row. These DNS servers process can be traced with +trace parameter. Default usage parameter of dig can be made permanent and provided by default without issuing them every time. .digrc is the file that holds the configuration.